Johor – MMM's "Everything is Possible"
Johor Bahru is the capital city of Johor in southern Malaysia, located north of Singapore. Johor Bahru is the southernmost city on the Asia mainland. The Johor Bahru City has a population of 1,334,188 people with area of 185 kilometres square. 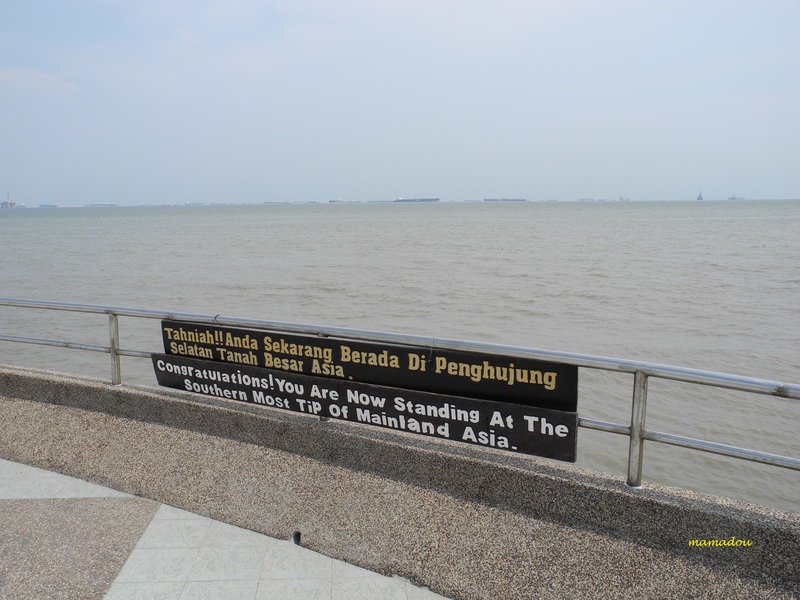 It is situated on the Straits of Johor (also known as the Straits of Tebrau), which separate Malaysia and Singapore but linked by the 1.05 km causeway built in 1923. The Johor-Singapore Causeway links the city to Singapore with a six-lane road and a railway line. The Malaysia-Singapore Second Link bridge, located west of the metropolitan area, was constructed in 1997 to alleviate congestion on the Causeway. 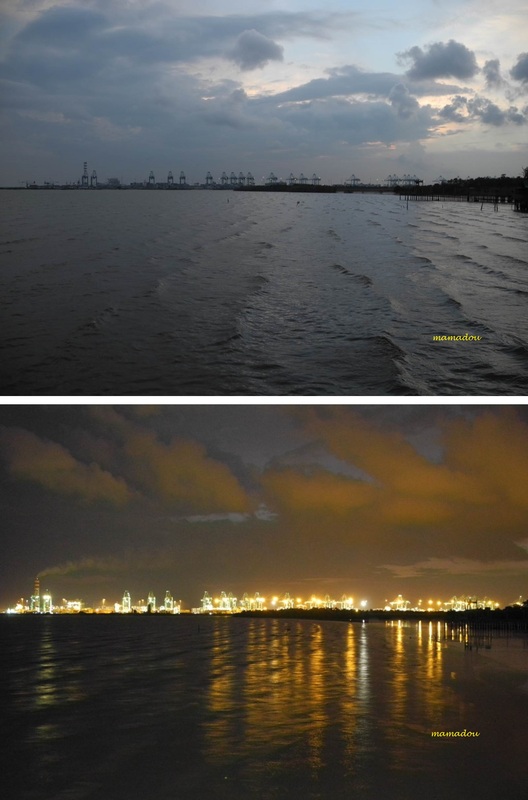 PTP’s berths are set in 15-19 meters of naturally deep waters with a wide approach channel of Malacca and Johor Straits. A turning basin 600 meters wide allows the easy maneuvering of even the largest container vessels. PTP has all the advantages to ensure smooth and fast berthing for vessels. Positioned just 45 minutes from the crossroads of the world’s busiest shipping lanes (Malacca Straits) and located at the southern tip of Peninsular Malaysia, PTP is ideal for both regional and global transshipment and distribution activities. I and family having dinner at a nearby seafood restaurant, and you would not miss this spectacular view of the Port of Tanjung Pelepas (PTP) which located at the southernmost of Penisular Malaysia and mainland Asia. When I visited the state of Johor in Malaysia not long ago, I was in small town called Serkat. As I am so thirsty, I want to buy a few bottle of soft drinks, I stumble to see the favourite biscuit when I was a small kid. 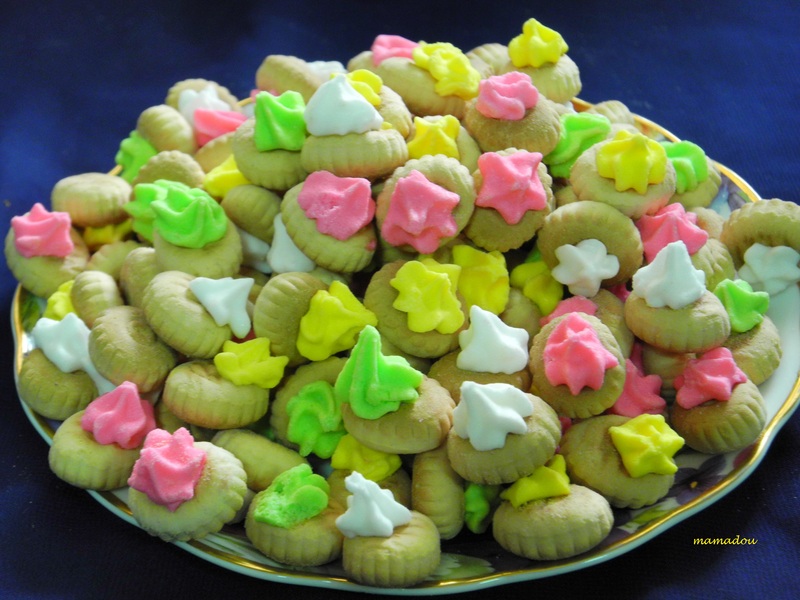 Nostalgia of this tiny biscuits continues to intrude in my mind. 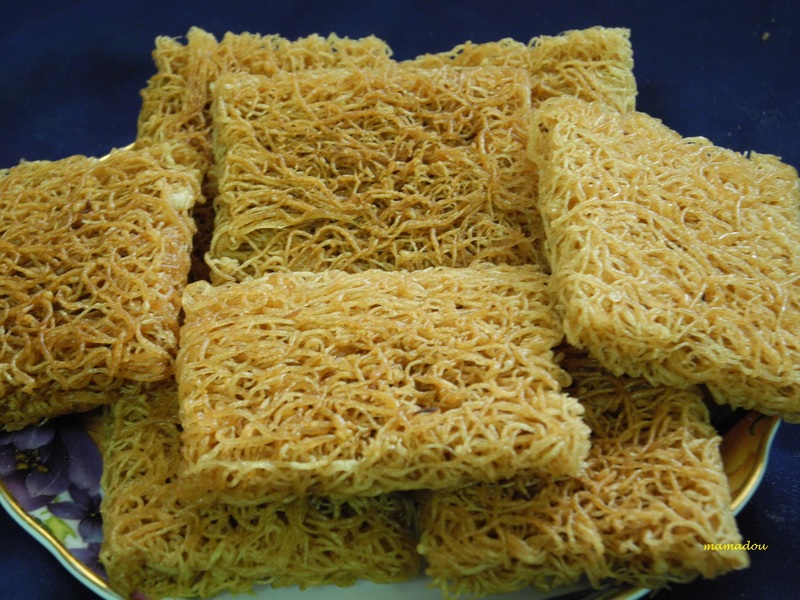 Kueh Karas is one of many traditional Malay cookies. I discovered Kueh karas when I visited state of Johor not long ago. These traditional cookies are now being commercialised, so it is very easy to be obtained and sold in many places. Kueh Karas made from basic ingredients of rice flour, sugar and a little salt, deep fried in palm oil. It is nice and crunchy. 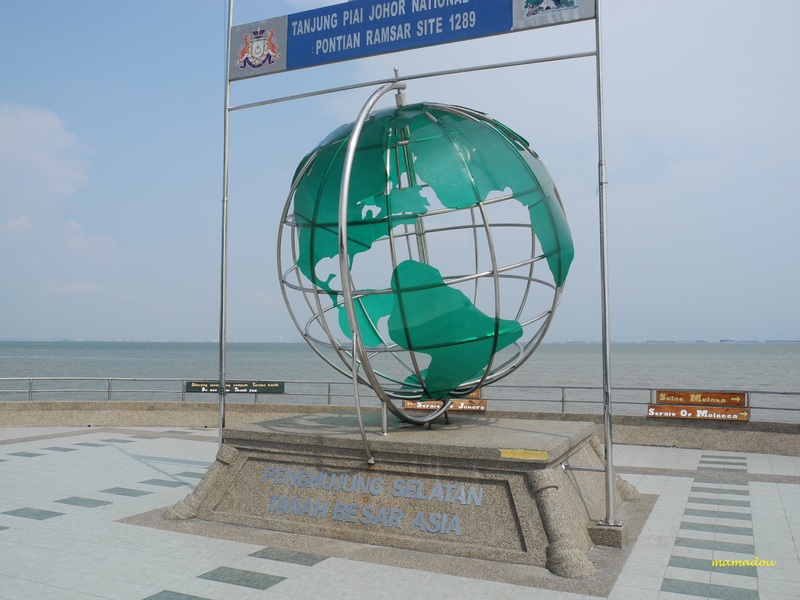 This landmark was erected in 2001 to mark Tanjung Piai’s unique geographical position as the “Southernmost Tip of Mainland Asia”. The exact location of the tip is at latitude 01°16 North / longitude 103°30.46 East. The Landmark is made of eco-friendly-reinforced concrete, measures 20 metres high and 10 metres wide. 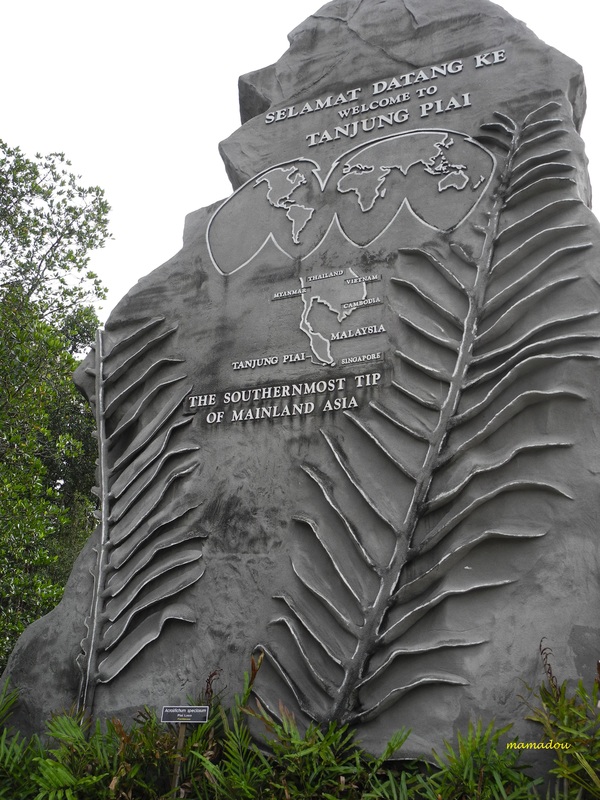 The monument’s stark grey colour represents the rich mangroves and mudflats of Tanjung Piai. It is adorned by two fronds of the Paku Piai Raya (Acrostichum aureum) – the indigenous fern from which Tanjung Piai derives its name. Tanjung means ‘cape’ in Malay, and Tanjung Piai is named after this Piai fern, which flourishes in abundance in the mangroves here. The atlas of the world emblazoned across the top of this geographical marker enables visitors to truly understand and appreciate exactly where they are on the vast land mass that is Asia. 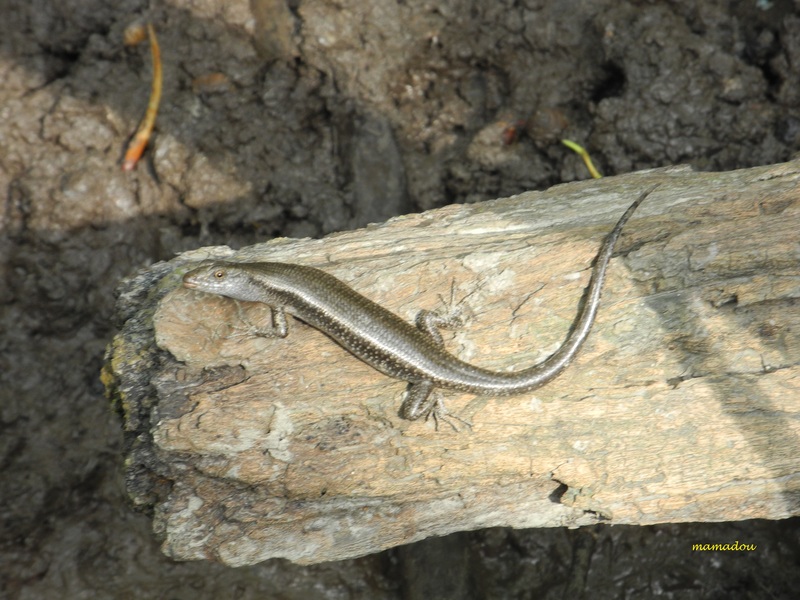 Tanjung Piai National Park is a treasure trove for nature lovers. Tanjung Piai derived its name from the piai raya fern (Acrostichum aureum) which is found in abundance in the mangrove forests there. Located 90km south of Johor Bahru’s city centre within the district of Pontian, Tanjung Piai’s natural wonders have been gazzetted into a National Park. 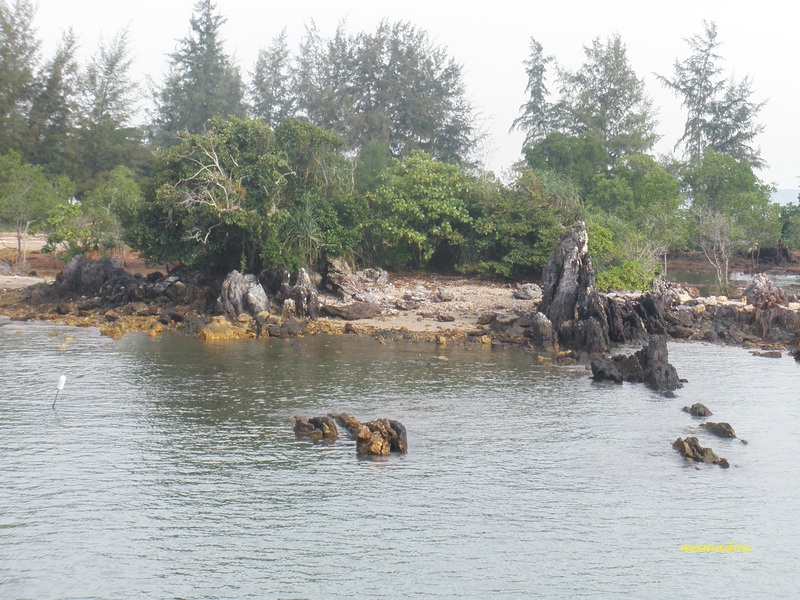 Tanjung Piai is a place where the earth and sea, plant and animal life, live in blissful harmony. 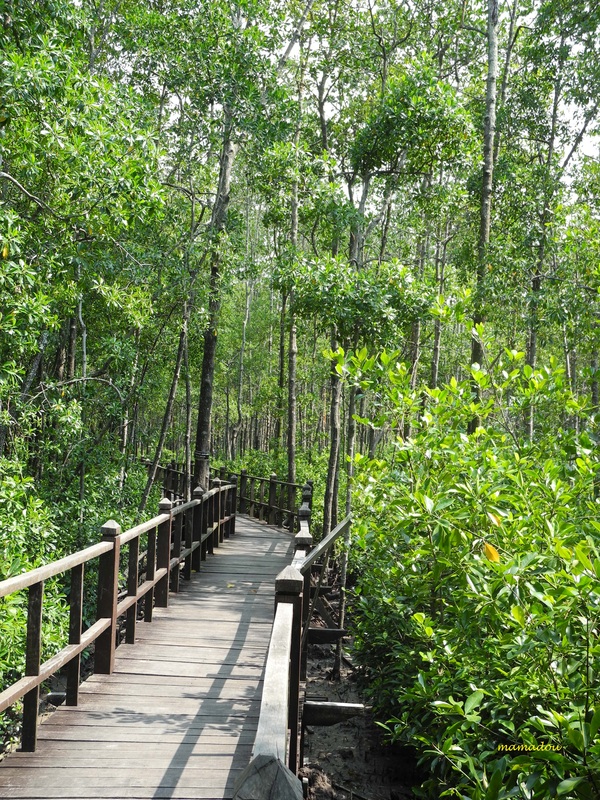 Visitors can see different habitats here, especially for enthusiasts interested in mangrove dwelling. Tanjung Piai Johor National Park covers an area of over 926ha; 526ha of which comprise of coastal mangroves and the muddy terrain of 400 hectares. Its 8 km shoreline borders the Straits of Melaka. 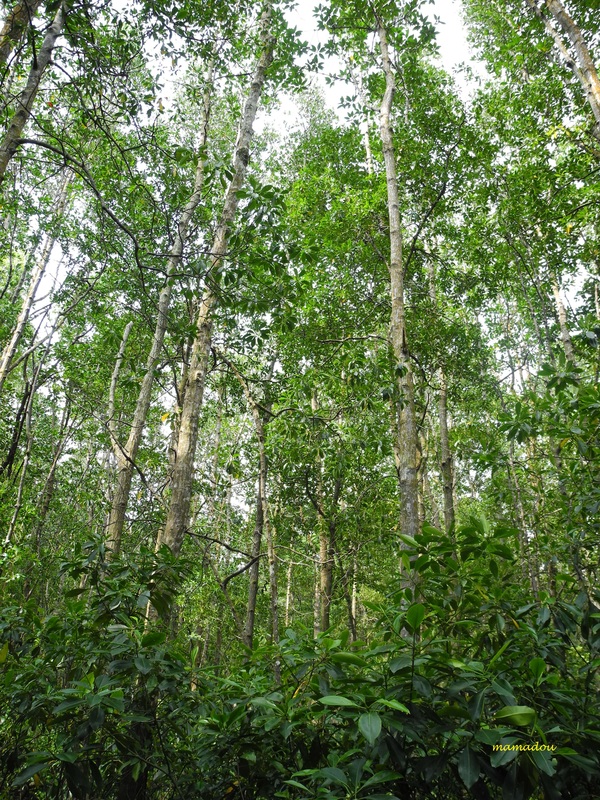 Tanjung Piai is home to some 20 species of true mangrove plants, and also to the other nine species of mangrove-related, which indicates a high rate of species diversity. In 2002, the park was opened to the public. This park was declared a Ramsar site on 31 January 2003. Finally, it has been gazetted as National Park in Johor on February 26, 2004. Popularly known as the Ramsar Convention, the Convention of Wetlands is an inter-governmental treaty adopted in 1971 in the Iranian city of Ramsar. To be listed on the Ramsar List of Wetlands of International Importance, a wetland has to fulfil several criteria set by the Convention of Wetlands. The criteria are based on the ecological characteristics of the wetlands. While the size of a site is inconsequential, the wetlands must be representative, rare or unique, and important for conserving biological diversity, that is, if the site has plants or animals that are under threat, indigenous, endemic or support a large population of water birds. Mangroves are trees that grow in the intertidal zone of sheltered shores in the tropics and subtropics. The tree trunks, aerial roots, and sediment provide suitable habitats for colonization of animals. Above the ground, the trees and canopy provide a habitat for insects, reptiles, birds, and mammals. Mangrove roots hanging in water along creeks and inlets are home a variety of epibionts (those that encrust) such as sponges, barnacles, bivalves, and algae. 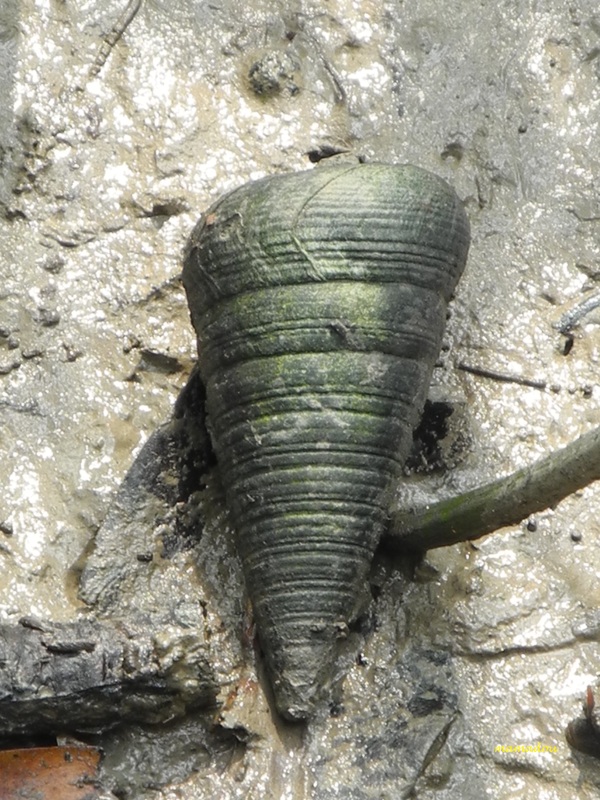 The tree trunks within forest are also a habitat for epibionts (small encrusting invertebrates) such as barnacles, bivalves, and several species of mobile gastropods including periwinkles. The soft sediment in the mangrove forest is the habitat of polychaetes, gastropods, crabs and a sipuncula (peanut worm). Mangroves, important for their resilience, are also one of the maintstays to sustainable growth of the various mangrove. It also serves to protect land from the fierce onslaught of the wild sea. 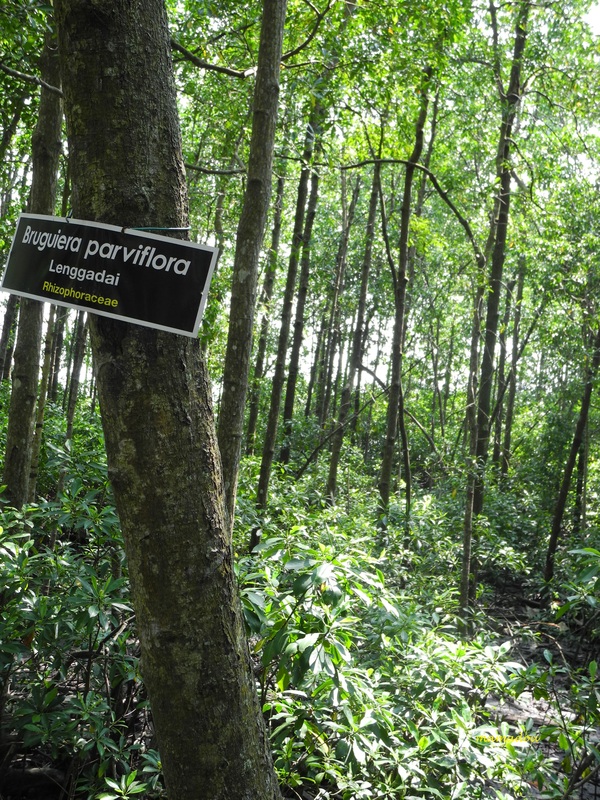 ‘Lenggadai’ Bruguiera parviflora – A true mangrove species that can reach a height between 20-25 metres. The bark is chocolate grey with smooth lines on it. It has a knee root system for breathing. Leaves grow opposite each other. It propagates through vivipary. 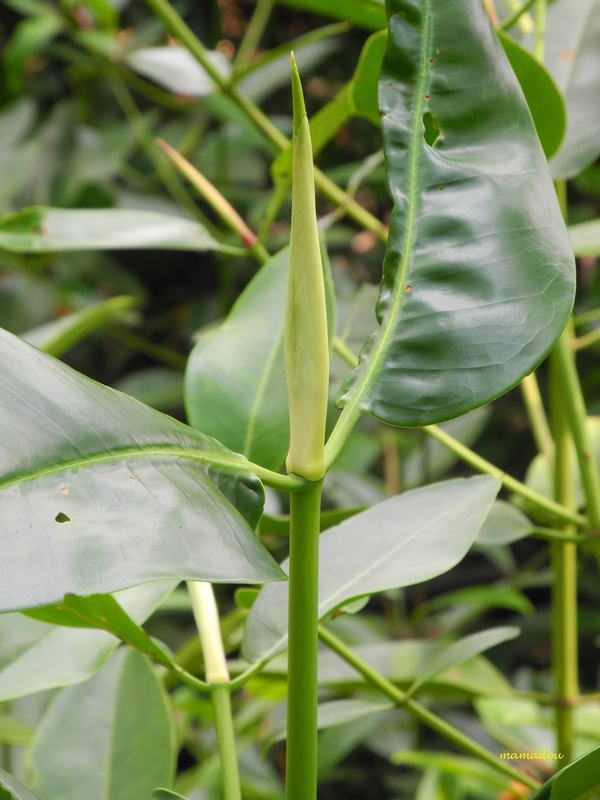 The seeding (propagulale) is small, long and thin and yellowish in colour. The bark gives off a smell that is used by fishermen to frighten fish away. It is used as firewood and for making charcoal. Leaves are used to store excess salt and is shed once full. There is so much to see in Tanjung Piai National Park and you won’t see everything listed in the tourism brochure in one visit unless you go into the forest and spend a few hours at the park. 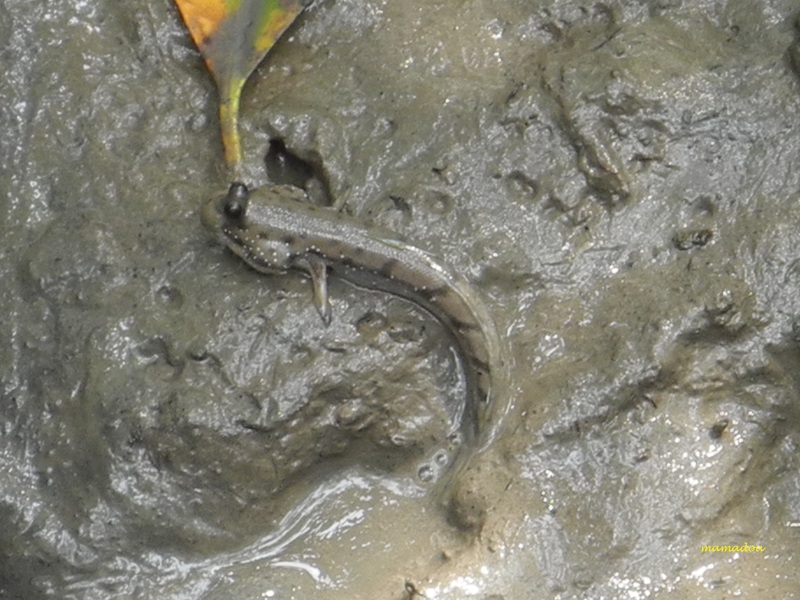 You could see monkeys, mudskippers, little crustaceans, including one with orange claws. There are many species of mangrove, as many as 20 species but only an expert will be able tell the difference between them. 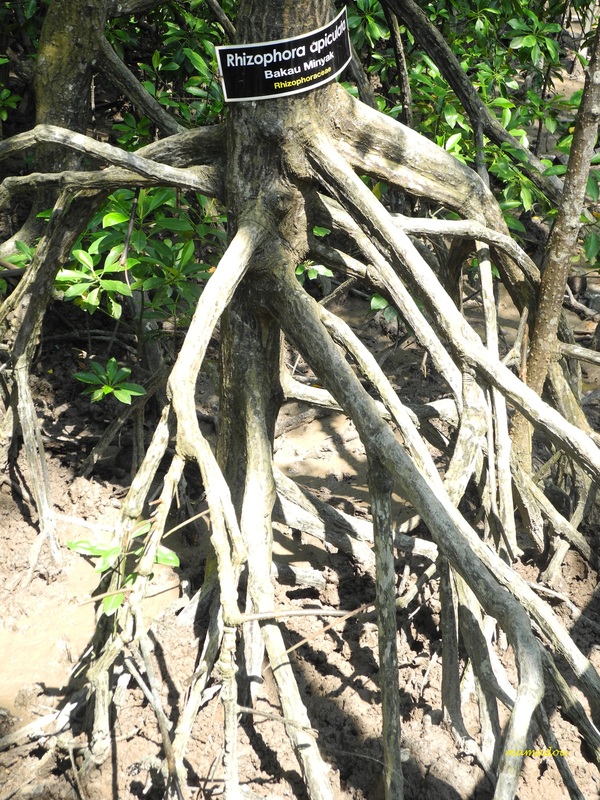 The mangroves here are typical of a Rhizophora mucronata-Bruguiera parviflora (bakau kurap-lenggadai) coastal forest, which is important ecologically for its intrinsic function in coastal protection against strong winds and sea currents. Nevertheless information board provided along the trails educates the visitors. 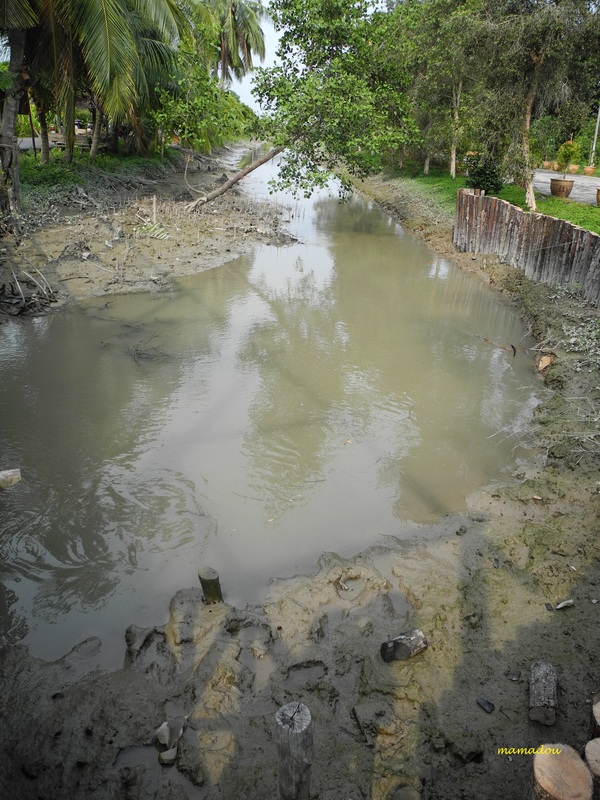 The Park consists of large areas of mudflats – an important food source for birds and other wildlife. A total of 12 species of vertebrate fauna and 23 species of birds – including the lesser adjutant stork – were recorded in the mangroves and mudflats. Besides the stork, there are 41 other species of birds, including 12 species of large water birds and shore birds, as well as six migratory species. There are also seven species of mammals of conservation value both locally and globally, which include the flying fox, dusky leaf monkey, long-tailed macaque and the smooth otter. Moluska (Molluscs) – Molluscs or soft –bodied animals, are a prominent group in the mangroves. Animals such as the telescopium snails, mudcreepers, cockles, mussels, nerite and mangroves slugs are often seen. Most of them create a tough shell made to protect its soft body. They have special adaptations to live out of water for long periods. They are able to tolerate a wide range od salinity and tide currents. Feeds on algae and organic matter found on ded wood and mud patches. Mollucs evolution began more than 500 million years ago, during the Cambrian period. 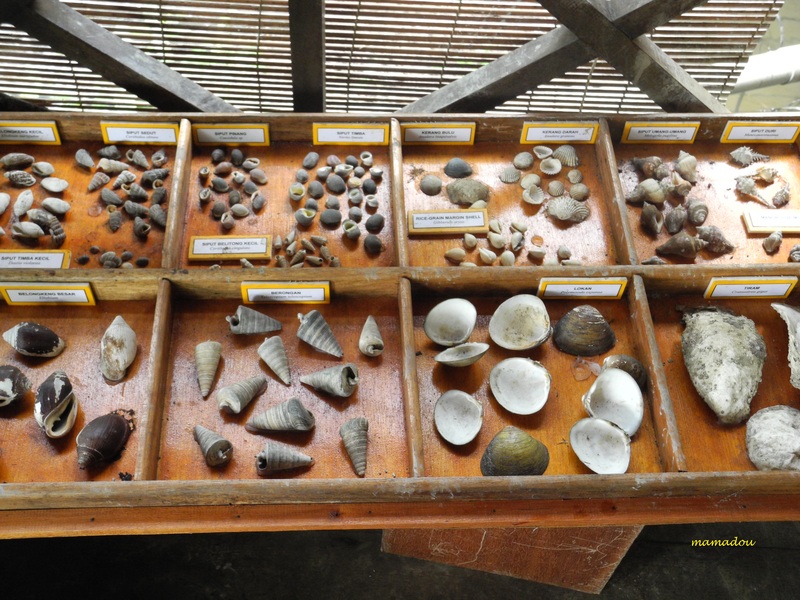 There are between 50,000 and 200,000++ mollucs species alive in the world today. 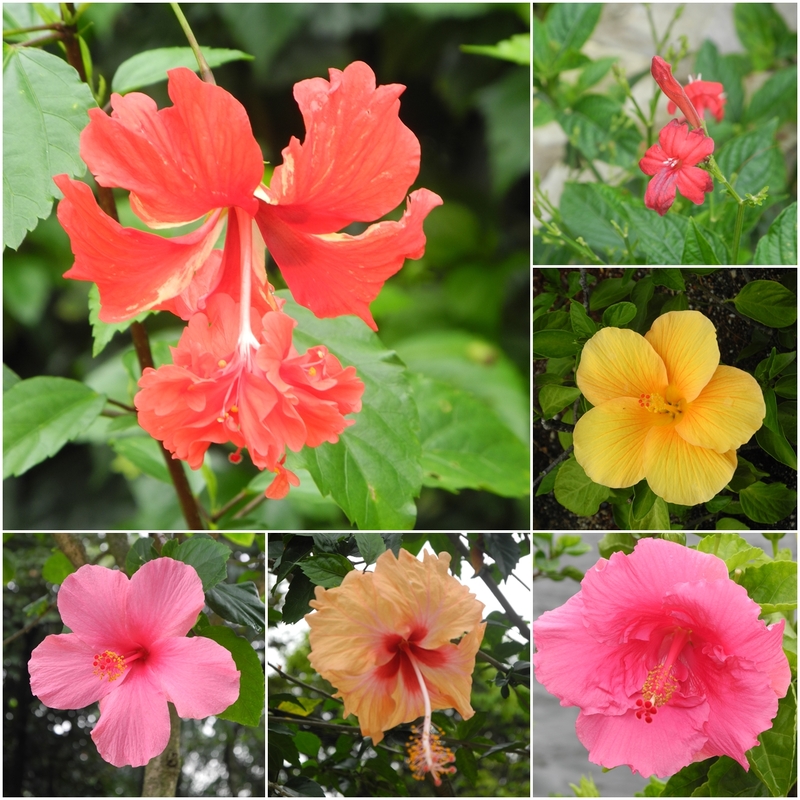 Many species have yet to be discovered and many recently discovered species are yet to be identified and named. ‘Belongkeng’ Ellobium aurisjudae also could be found here. ‘Ketam Rebab’ Fiddler Crab Uca sp. 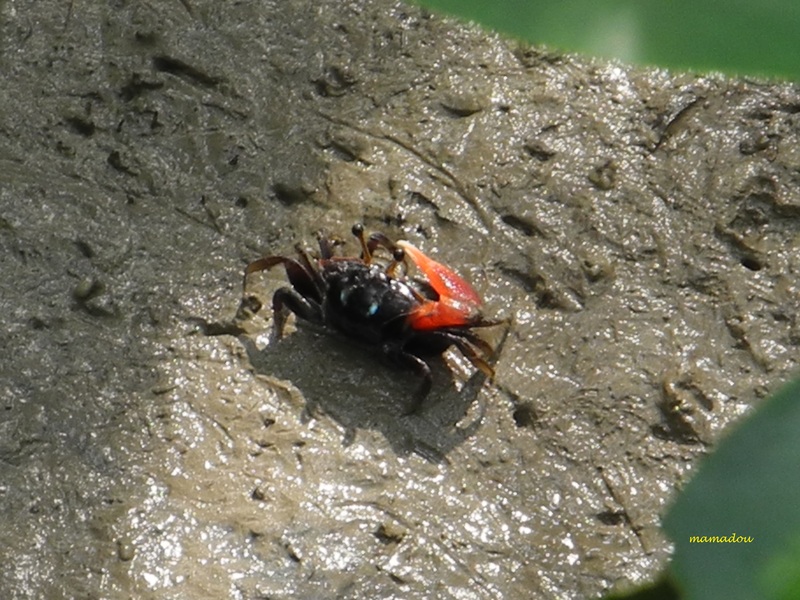 – Fiddler Crabs are small but colourful, most of which occur in mangroves or along the shore on mudflat areas. Come in various colours, they belong to the family Ocpoddae, genus Uca. The male fiddler waves its one large claw to defend its territory and to court females. The small claw is used for scavenging food and feeding. When they are sealed in their burrows during high tide, they make a trapdoor and maintain a bubble of air under ground! ‘Monyet’ Long-tailed macaque – This monkey is primarily arboreal and can keep up to 5 m between trees using their long tails to balance. They feed on the ground when their preferred diet of fruits is in short supply. At his time they eat a wide range of foods including insects, leaves, flowers, grasses, mushrooms and bird eggs. 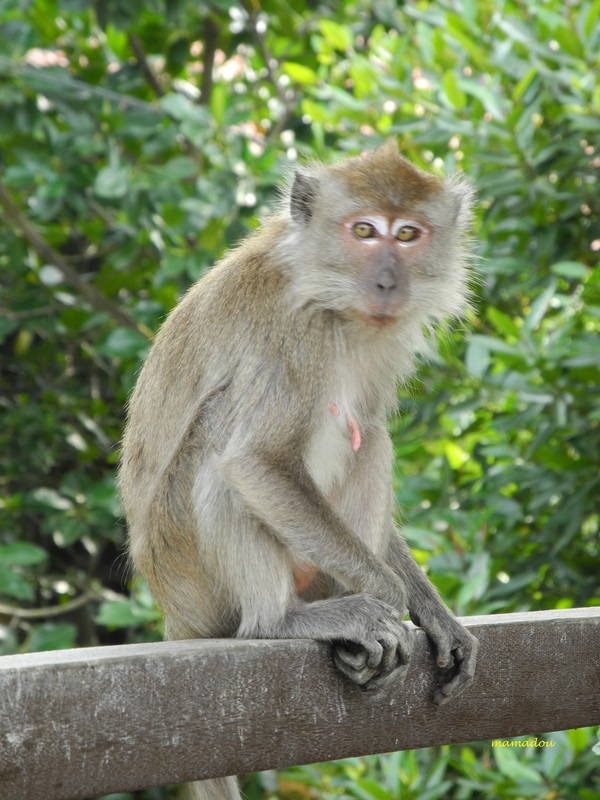 The previous name was crab eating macaque. They are excellent swimmers and use the ability to avoid predators such as phytons. Long-tailed macaque got its name because the tail of this macaque is usually about the same length as its body and the the long tail distinguishes it from most other primate group. ‘Lotong Cekong’ Dusky Leaf Monkey is also habitant of Tanjung Piai. 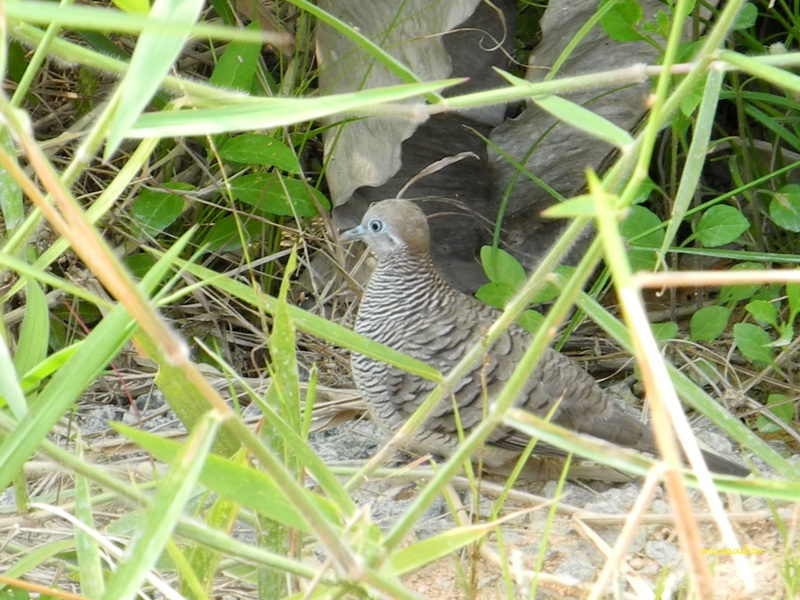 One species of bird in Tanjung Piai. Other habitants are ‘Burung Botak’ Lesser Adjutant Stork (Leptoptilos javanicus) and ‘Helang Kuik’ Crested Serpent Eagle (Spilornis cheela). Tanjung Piai Natural Park has the main visitor’s centre which consists of the park head office, an information gallery, conference room and campsites. The boardwalks were built through the forests so the visitors can walk around in comfort. 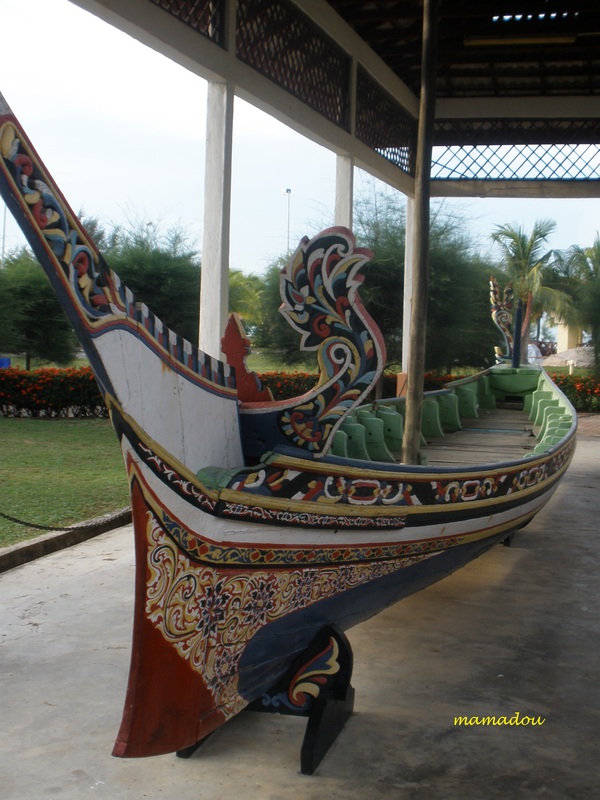 There is no direct bus service to the park, but you can hire a taxi service from the Pontian bus station. However, make sure you make pre-arrangements with the taxi driver for your return trip. Those driving from the north via the North-South Expressway (E2), can take the Simpang Rengam exit to get on to the Benut-Pontian-Kukup highway (Route 5). Once near Kukup (Route 95), follow the signboards leading to Kampung Serkat (Route J111) and this will lead you to Tanjung Piai Johor National Park. 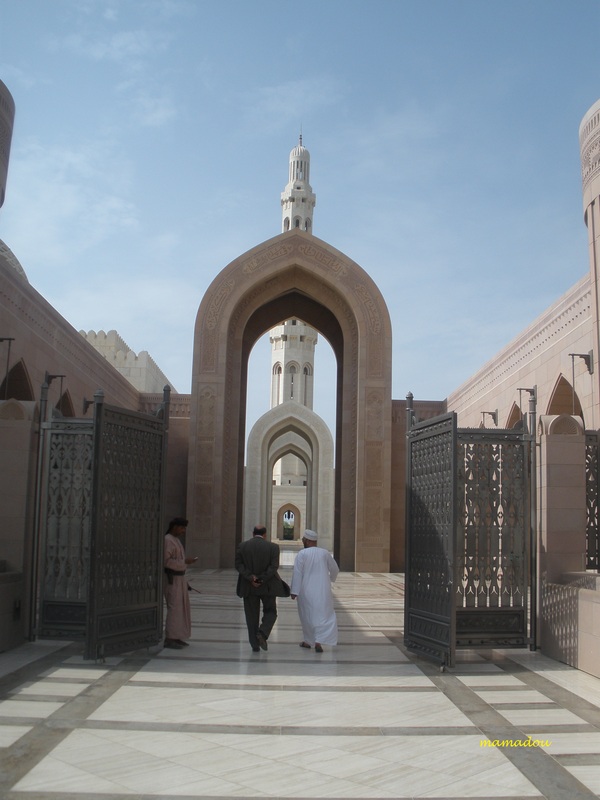 Entrance fees are priced at RM5 for Malaysian and RM10 for foreign visitors. Parking fee is charged RM3 for cars as it owned by private resident. ‘Teruntum’ (Lumnitzera sp.) – Can grow up to 10 metres high. The characteristic of the leaves is slightly different between each species. If you observe a ‘teruntum putih’ tree, you will notice that the leaves have prickly edges compared to ‘teruntum merah’ which is less prickly. The flowers of ‘teruntum putih’ are white and branches are bright chocolate. 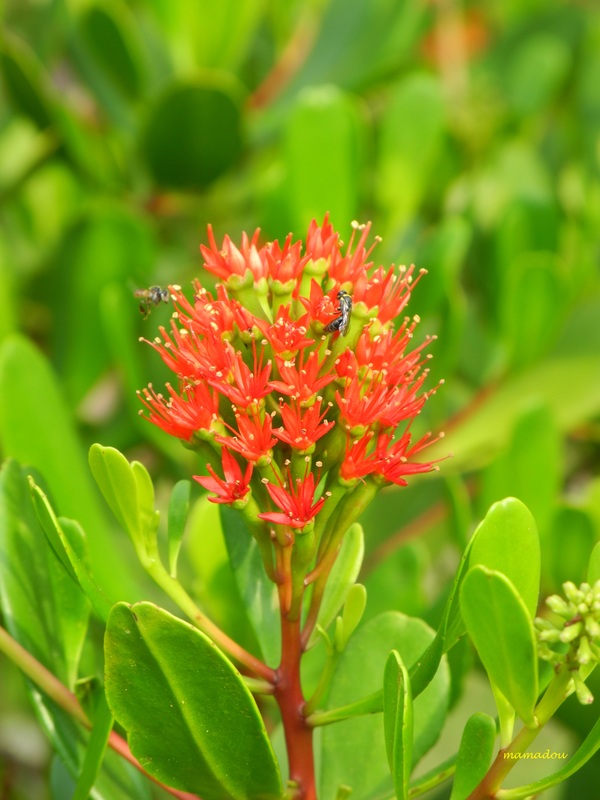 The flowers of the ‘teruntum merah’ is red and the branches are reddish chocoloate. The bark can be used to clean animal skin. 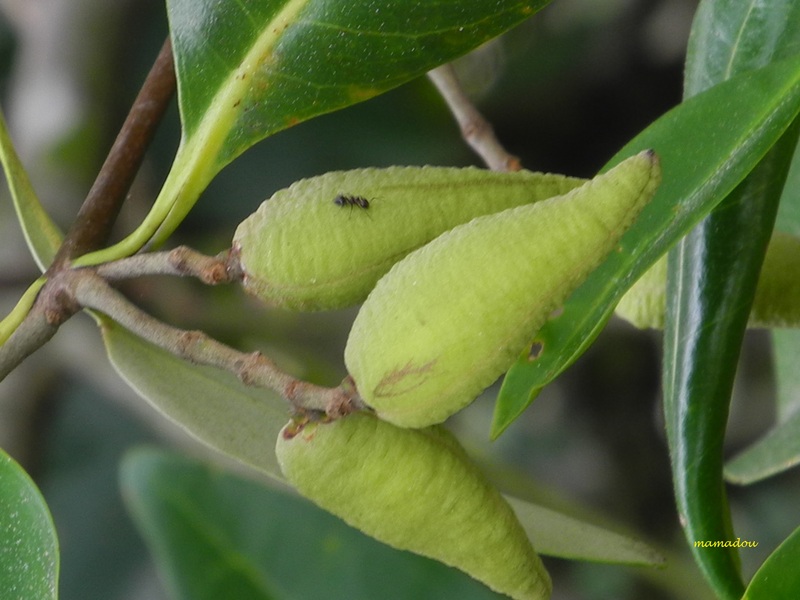 The flowers of ‘teruntum’ trees are an important source of food for birds and insects. 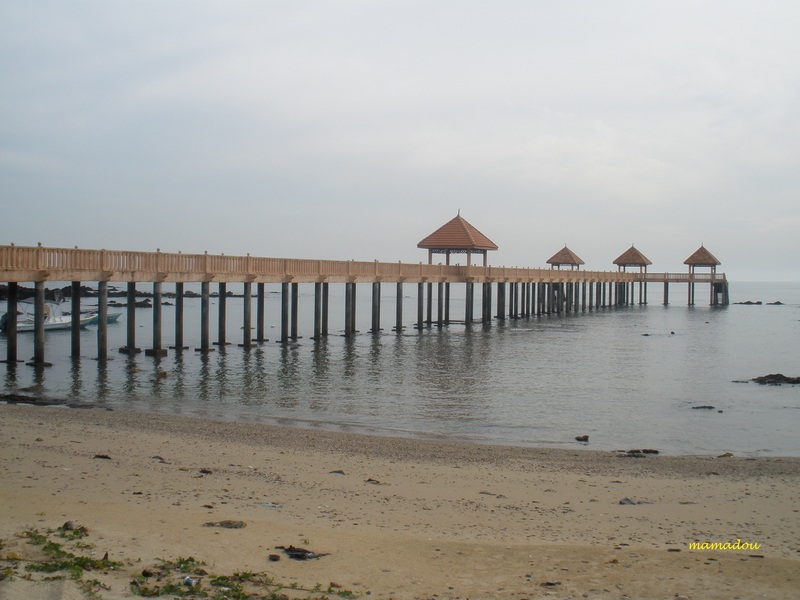 Tanjung Piai is located in Mukim Serkat, Pontian, Johor, Malaysia. This cape that juts into the Straits of Malacca represents mainland Asia’s southernmost point. Its exact location is at latitude 01°16 North / longitude 103°30.46 East. The Straits of Malacca is one of the world busiest waterway. Shallow passage between Sumatra, Indonesia and Penisular Malaysia. It is approximately 805 km long and varies inwidth from 64 km in the South (between Tanjung Piai, Malaysia and Karimon Island, Indonesia) to 275 km in the North (between We Island, Indonesia and the Isthmus of Kra, Thailand), connecting the Andaman Sea and the South China Sea. 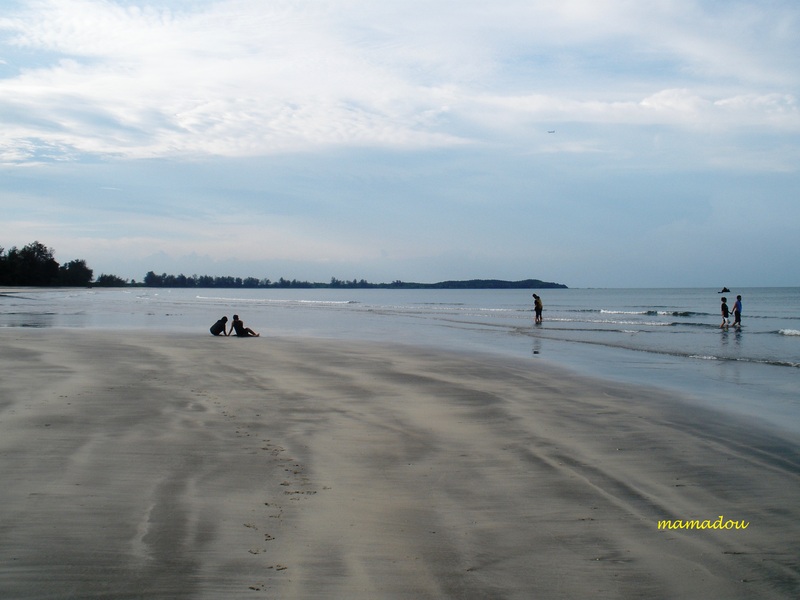 Tanjung Balau located at north-east and about 98km of Johor Bahru city, in the District of Kota Tinggi. 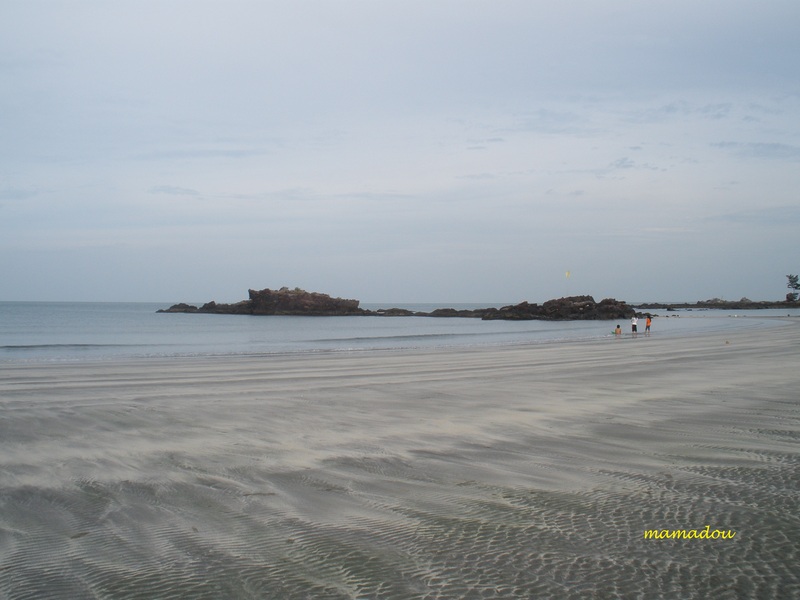 Tanjung Balau has a beautiful stretch of beach, nearby Malay fishing village, a unique Fishermen Museum and hotel and chalet resorts. At Tanjung Balau, the artistic side of the fishermen community could be testified; a true life of fishermen as practiced in the past and present. There are several affordable and comfortable chalets and villas if wish to stay overnight. 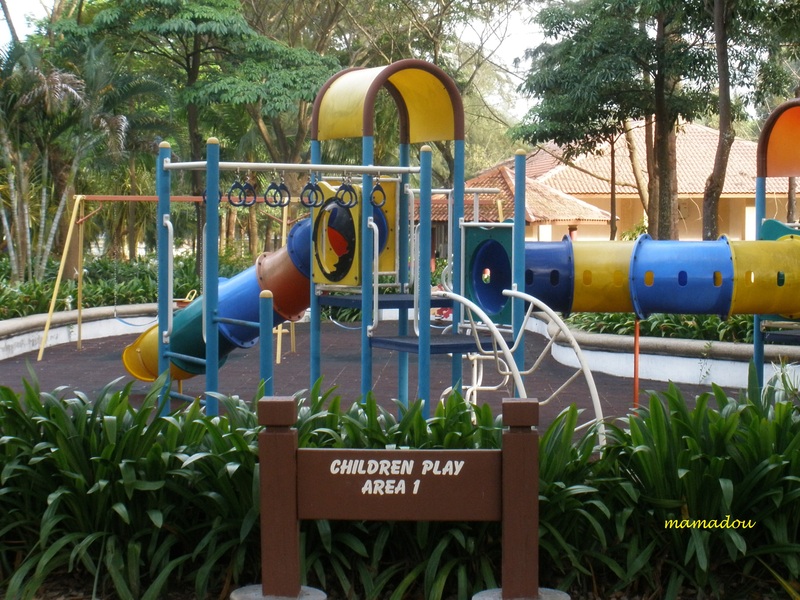 Other facilities including food court and stalls, a children playground and a souvenir shop. Tanjung Balau Tourism Complex which gives you an introduction to rural culture and traditions also offers some of the best local cuisine was established in 1985 by South Johor Development Authority (KEJORA). Tanjung Balau Fishing Village is within the Tanjung Balau Tourism Complex, a short way away from the Desaru Beach, will provide you an enriching experience in the arts, skills, and lifestyles of the Malay fishermen. Fishing has been a major economic source for the seafarers of Kota Tinggi district since long ago and the abundance of it found in the South China Sea has supported them for generations. 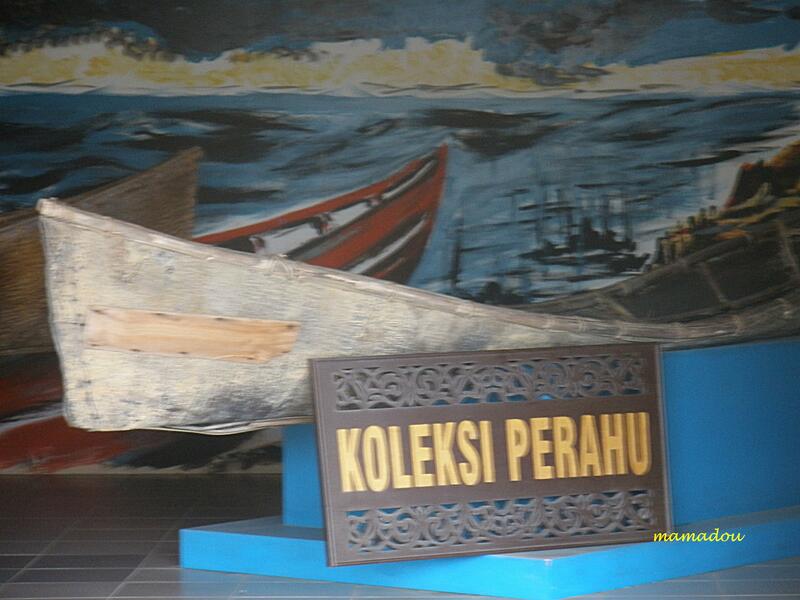 Tanjung Balau Fisherman Museum opened to public in 1993, displays various artefacts of the region’s long history as a centre of the fishing trade, including traps, tackles, boats and floats. 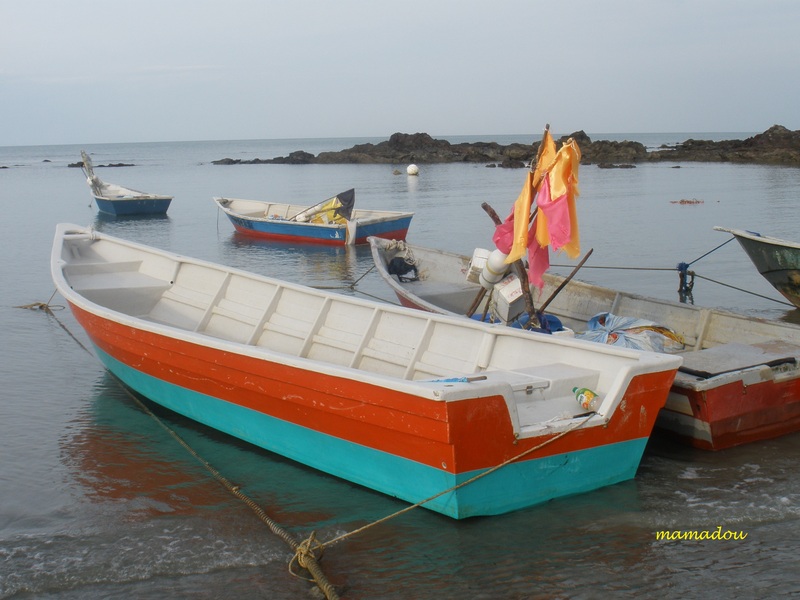 It also offers presentations of local fishing lore; local taboos, beliefs and superstitions related to the sea. It was designed to give an insight into the lives and experiences of the fishermen community. 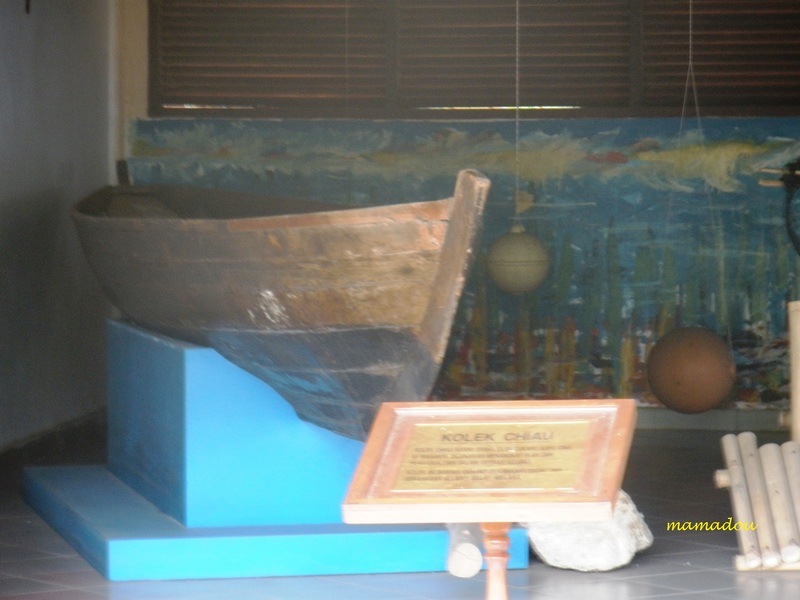 The museum is divided into five galleries of Geology, Morning, Karam Desaru ship and Sea Communications and Security. The museum that costs about RM1.5 million was built on a 9.7-hectare land in 1992. 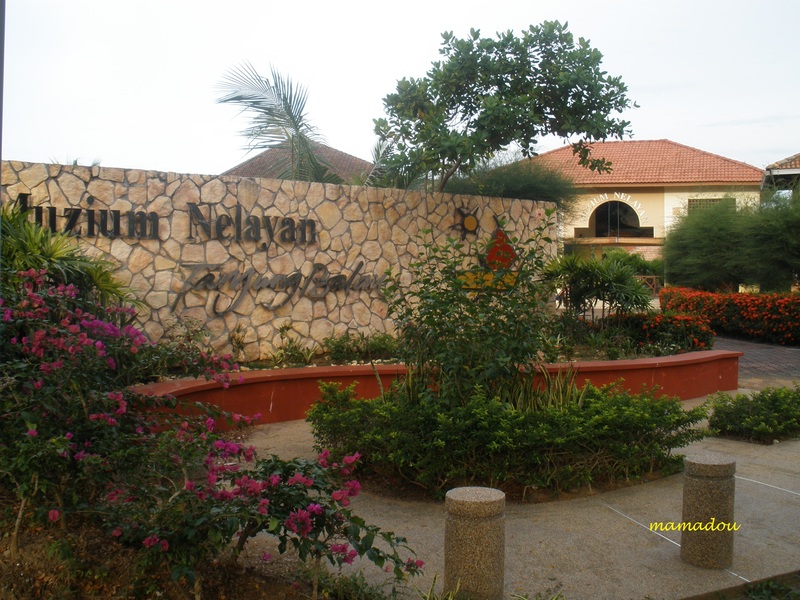 It has a main building that serves as a gallery, four small rest areas and a souvenir shop.